Get a sense of the local culture at Le Marais and Cathédrale Notre-Dame de Paris. Let the collections at Musee d'Orsay and Centre National d'Art et de Culture George Pompidou capture your imagination. 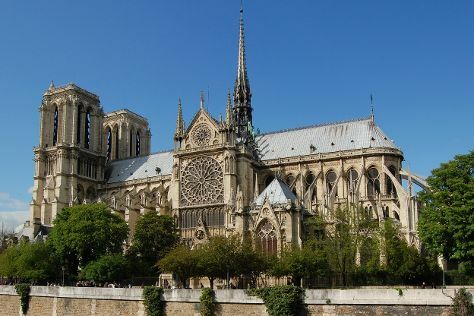 Get out of town with these interesting Paris side-trips: Chartres Cathedral (in Chartres), Champagne Le Gallais (in Boursault) and Versailles (Palace of Versailles & Temple de l'Amour). Next up on the itinerary: admire the masterpieces at Louvre Museum, learn about winemaking at Champagne Roger-Constant Lemaire, wander the streets of Montmartre, and appreciate the history behind Arc de Triomphe. Plan a trip to Paris easily and quickly by telling Inspirock to suggest an itinerary. If you are flying in from Australia, the closest major airports are Paris-Orly Airport, Charles de Gaulle International Airport and Paris Beauvais Tillé Airport. December in Paris sees daily highs of 9°C and lows of 3°C at night. Finish your sightseeing early on the 6th (Sun) so you can travel back home.